There’s no better way to understand a culture than participating in a grand festival. Here’s how you can celebrate Diwali in India. Diwali is undoubtedly one of the biggest festivals in India. Every year at the end of autumn, people come together in all corners of the country, to commemorate this joyous occasion with much fanfare. Dressed in colorful new clothes, families get together to eat and make merry, and there’s plenty of light and sound everywhere. If you are planning a trip to India in October/November this year, what better way to understand the culture and heritage of the country than through a grand festival? Enjoy special activities organized by Enchanting Travels’ just for our guests. The City of Djinns brings its own festive fervor to the celebrations, which is best experienced in the midst of a local family gathering. 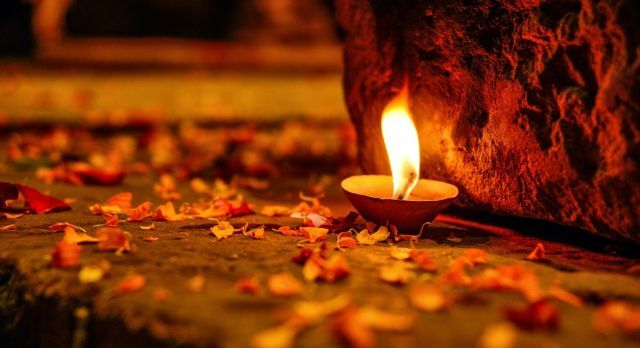 Visit the family home of your host in Delhi to witness the entire house lit up with hundreds of diyas (oil lamps) and glittering string lights, to commemorate Lord Rama’s return from exile. Gorge on delicious sweets and watch your hosts light up the night sky with firecracker after cracker! If you are up to it, try your hand at lighting a few of your own! 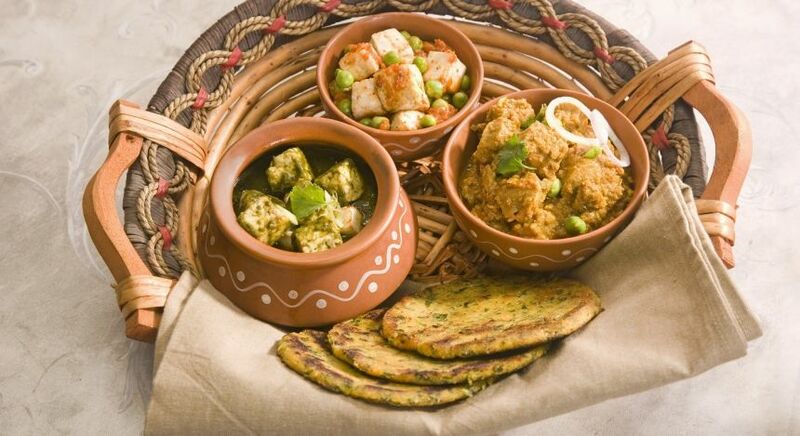 Check out our list of the most delicious food to try in India. Diwali celebrations in Varanasi is an enchanting experience! Here too you can visit a local family home and light many a diya (oil lamp) to illuminate the house. Choose from various firecrackers that you can light along with your hosts and partake of a special dinner with the family, before moving on to those delicious sweets. If you wish, you can also visit the ghats (traditional steps leading to the river) and witness the traditional rituals and ceremonies being performed. Read what our guests say about Varanasi. The brightly lit Pink City of Jaipur, is a site to behold during Diwali! At the Durbar Hall of Shahpura House, you are welcomed with smiles and garlands. As the traditional Indian folk dancers around you shake a leg, enjoy a refreshing welcome drink before the festivities begin. What follows is a beautiful Diwali puja (prayer) ceremony conducted by the royal family of Shahpura, just like the olden days! Afterwards, you’ll find a grand buffet waiting for you on the rooftop as you enjoy the fireworks display. Don’t feel shy to light a few of your own after dinner! 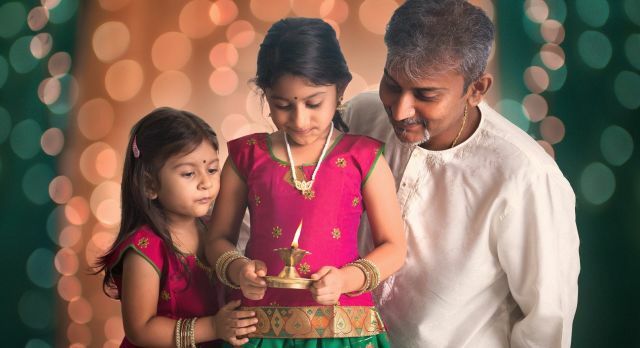 In Jodhpur too you have the chance to celebrate Diwali traditions in India with a local family. Grab your box of candles and travel to meet the family, where you can help your hosts decorate their home with lights. Witness a puja (prayer) ceremony held to appease Laxmi, the Hindu goddess of prosperity. Afterwards, enjoy a delicious home-cooked meal with your hosts before you begin lighting firecrackers. 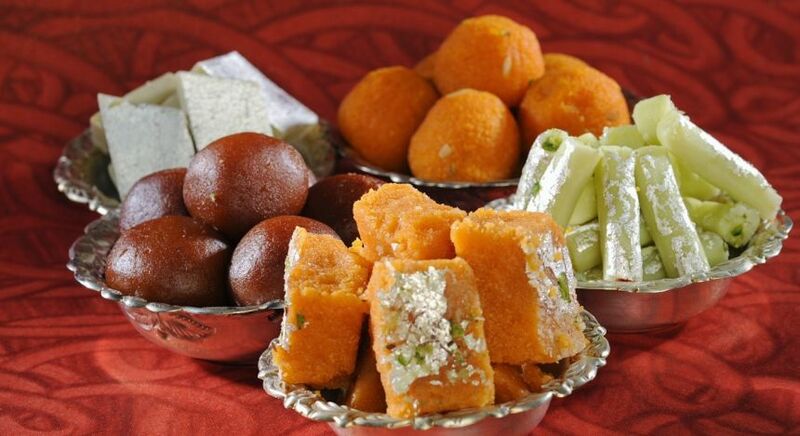 End your evening on a sweet note as your exchange treats with your host before bidding farewell. With a plethora or dishes around every corner, you will be spoilt for choice. 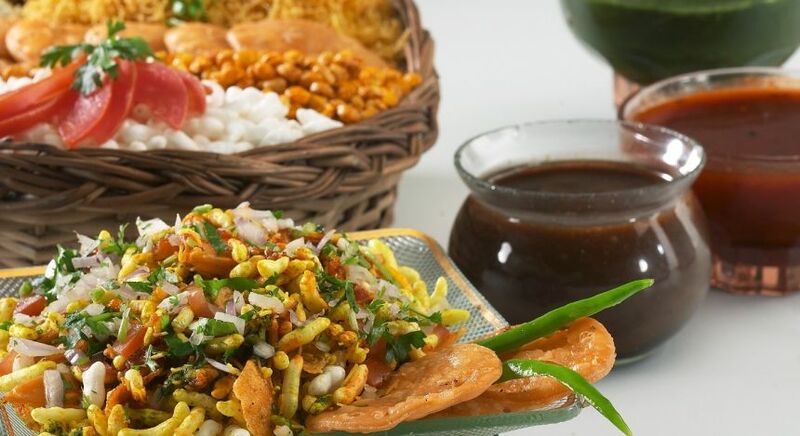 As is the local custom, people greet each other with a packet of sweets every Diwali, so even if you have to forego your love for meat for a night, vegetarian options are plenty. At the end of the meal, or even the beginning if you prefer, there will be sweet indulgence! 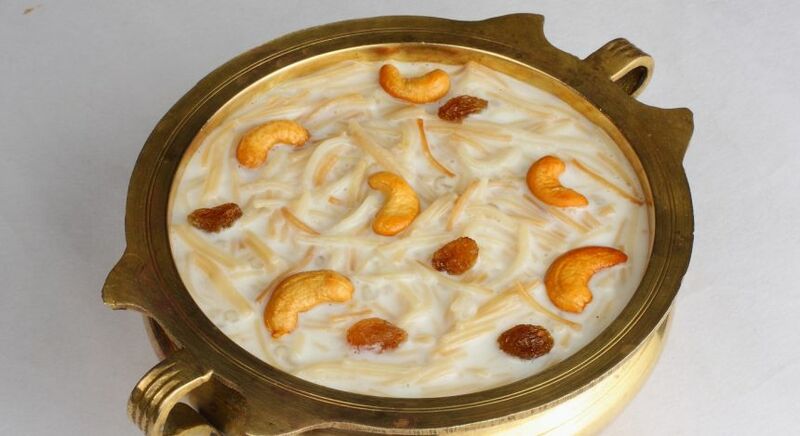 From the delicious payasam and a heady dose of sweet kheer, to gulab jamun and sweet, sweet jalebi – try them all. 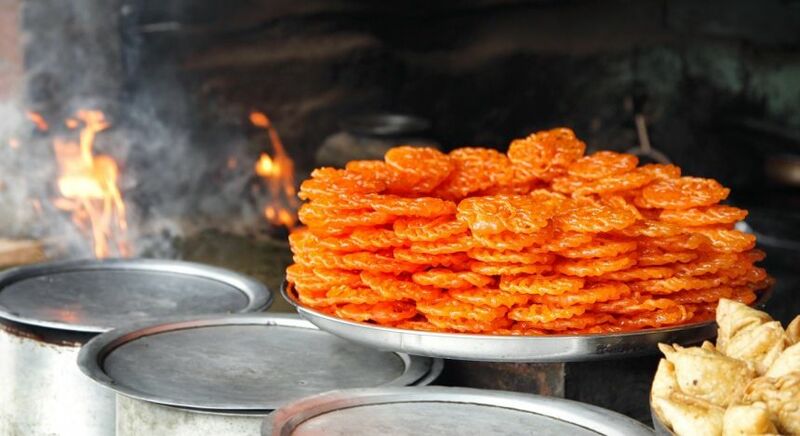 Check out our list of iconic food items to try in India. On Diwali, it is customary to partake of vegetarian meals in most households. The meals however, include delicious special items so you’re certainly in for a treat! Prepare yourself for a riot light and sound. 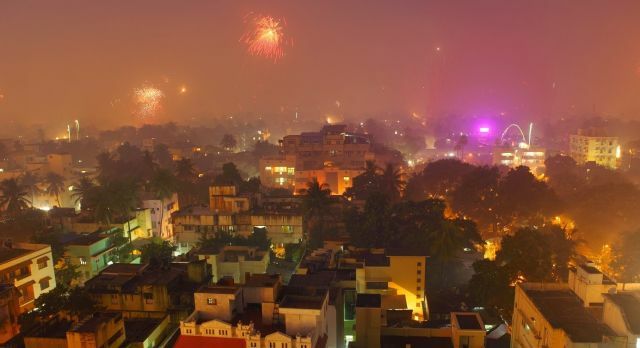 Recently, the Government of India has made it mandatory to keep the noise level under 80 decibels, and the lighting of firecrackers continue only until 10.30 pm. 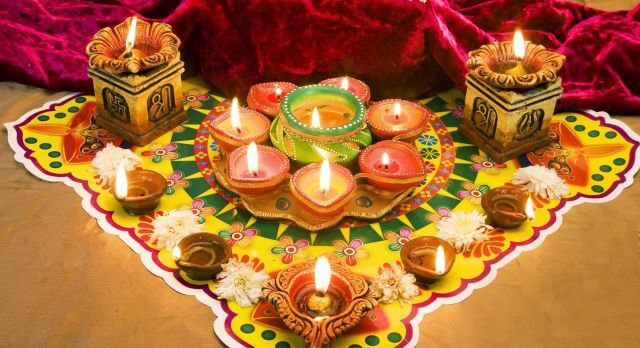 In 2016, Diwali will be celebrated on October 30.